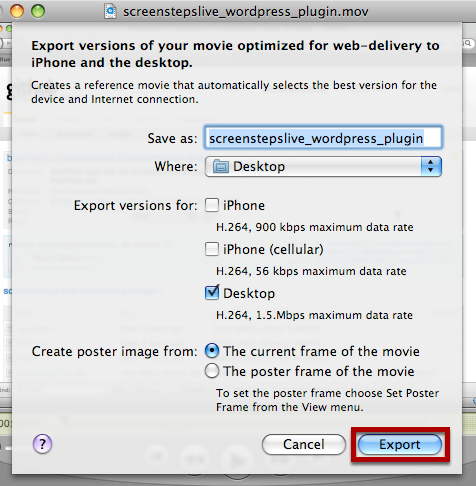 This lesson will show you how you can embed QuickTime movies that you export from QuickTime Player Pro into a ScreenSteps lesson. 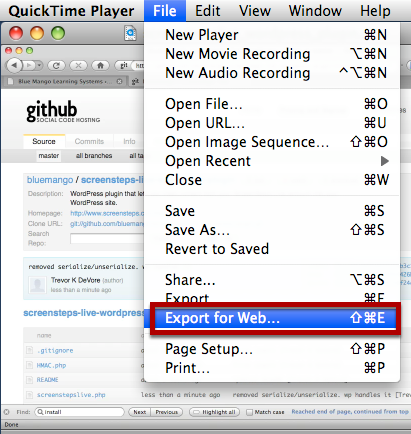 In QuickTime Player Pro open your movie and select Export for Web... from the File menu. Select your settings and click Export. When QuickTime has finished exporting you will find a folder with all of the necessary files. Open the ReadMe.html file in your browser. Locate the markup that Apple provides for the <body> section (1). Select and copy this text to the clipboard. 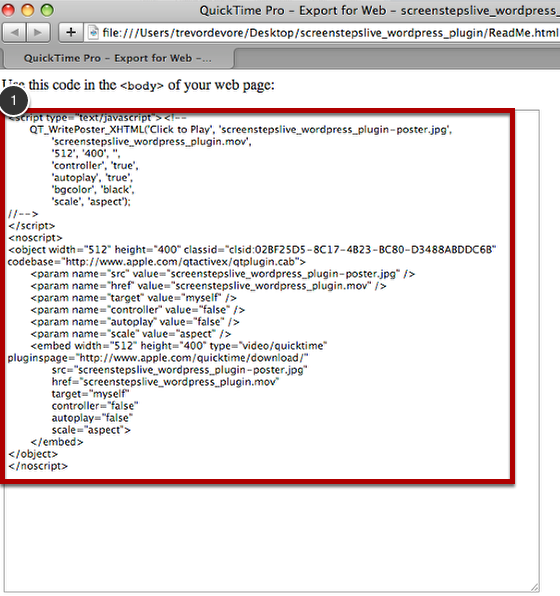 Paste the markup you just copied into the HTML For Video field. 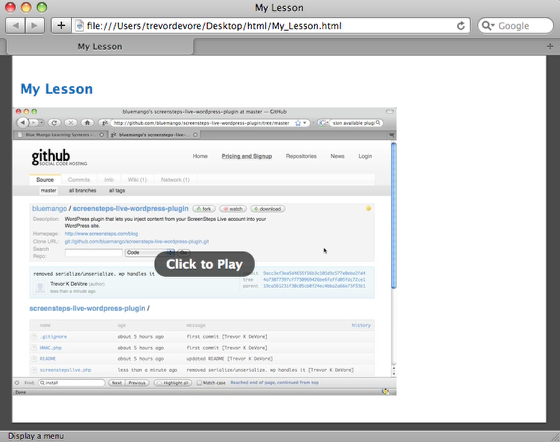 Now export your lesson to HTML. You should end up with a folder that looks like this. 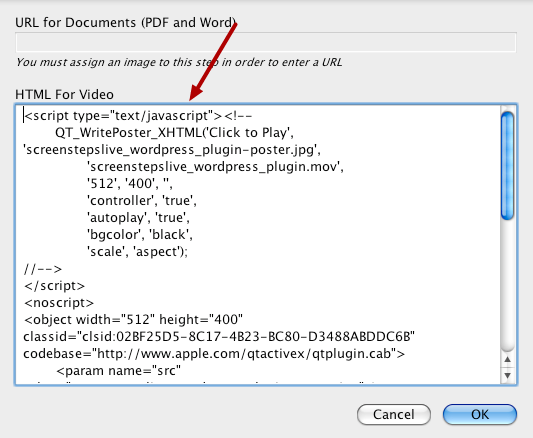 Now copy the QuickTime media files from the folder that was created when you export from QuickTime Player Pro into the folder containing your ScreenSteps lesson. 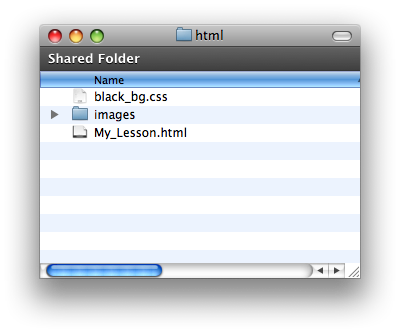 Now open the HTML file you exported from ScreenSteps (My_Lesson.html in this example) and paste the Apple supplied markup into the <head> section. 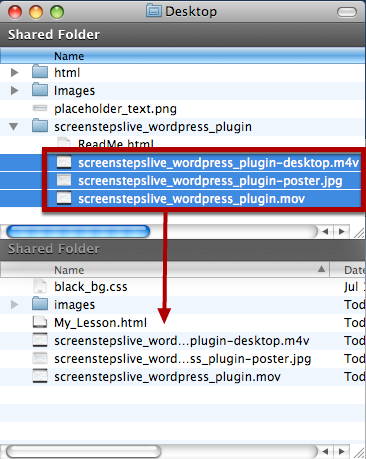 If you wanted to create a custom template that includes these files in the <head> of the web page you export from ScreenSteps then you can create one. 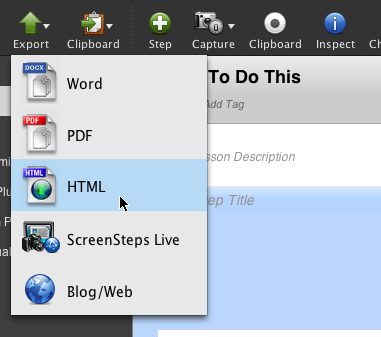 See the Customizing HTML Templates manual for more information. 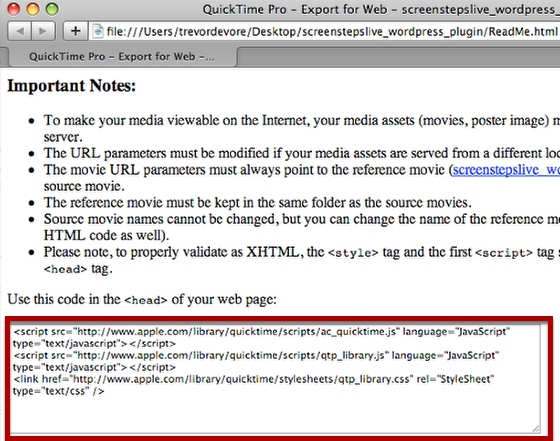 Now if you open your HTML file (My_Lesson.html) in a browser the QuickTime movie will be displayed. Wow. 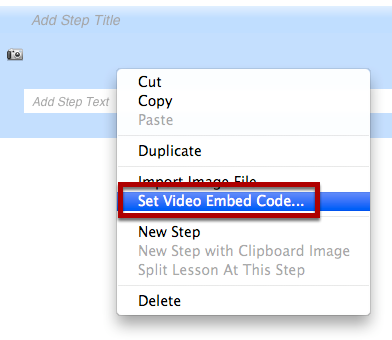 you guys should make this easier, like dragging and dropping videos into steps (just like images).